Would you like to know more about the Ford Escape? The Escape is a top choice among consumers because it offers a broad range of features. Here at Mike White Ford of Coeur d'Alene, we strive to keep our consumers updated about our vehicles. You can check out a few of the Escape's convenience features below. Nowadays, the new car purchasing process can be long and fraught with many complications. Drivers who attempt to navigate these waters on their own may do well, but they also run the risk of ending up with less than perfect vehicles. Also known as lemons, such vehicles often develop serious problems soon after purchase, thus plunging drivers into unknown waters. Thankfully, the specialized Ford Certified Pre-Owned system provides prospective drivers with many tools designed to sniff out possible lemons. One tool that goes far in this regard is the CARFAX Vehicle History Report service. Through the years, the Ford Taurus has garnered top ratings. One of the reasons why the Ford Taurus is well-regarded is because of its array of top-of-the-line interior features. There are a couple of interior features of note that prove particularly attractive to motorists. The Ford Taurus interior features include an ambient lighting system that permits you the ability to select from a number of color settings: Ice Blue® , orange, soft blue, red, green, blue or purple. In addition to the ambient lighting system, the Ford Taurus features heated and cooled front seats. Whether you need to tow a trailer full of furniture in Coeur D’Alene or you want to take your boat out for a weekend getaway, the Ford Super Duty can make the job much easier. 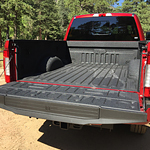 This popular heavy-duty pickup truck has an impressive maximum conventional towing capacity. We here at Mike White Ford of Coeur d'Alene are ready to show you what this truck can do. 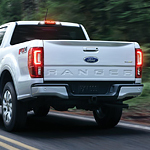 While you can look at the 2019 Ford Ranger for its beauty in the design, there is more to its design than what you can get from just the sight. The vehicle is also designed for certain purposes that make the ride better for the driver and all of the passengers. One thing that you are going to get from the 2019 Ford Ranger is the ability to change the purpose behind the design of the vehicle. One thing that you get is the option of choosing whether the vehicle is going to be a SuperCab or a SuperCrew. Think you need a huge truck to tow things? Think again. Good things come in small packages with the new Ford EcoSport. 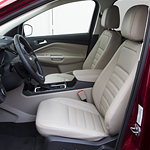 This right size Sport Utility Vehicle seats five and is easy to maneuver and park. It also has a three-cylinder engine capable of towing up to 1400 pounds. If you need even more from your crossover, upgrade to the four cylinder, whose powerful engine tows up to a ton with ease. Ford has been the frontrunner for many years when it comes to various technology features that they include in their vehicle. 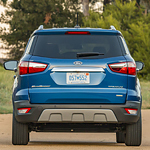 The new model of the Ford Escape holds true to that. There are a number of features that are designed to get you where you need to go with ease. Some of the newer technology features include Ford+Alexa and FordPass Connect with Wi-Fi. These features will help you stay informed, while you will still be able to focus on the road that is ahead of you. You might want to write all of this down. 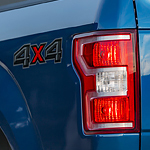 Ford F-150 has made a huge return to the pickup market with the newest model. The 2019 Ford F-150 is ranked second in the full-size class by US News & World Report. That’s because the F-150 now has six different engines, as well as new suspension and handling that make it a breeze to drive on any road. The performance is truly found in the base package as well. 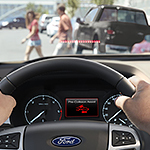 To keep drivers and passengers safe in Ford models, the manufacturer has announced that it will launch the Ford Co-Pilot360 with its 2019 lineup of SUVs, cars, and trucks. At Mike White Ford of Coeur d'Alene consumers, we strive to keep our customers informed about the new features that are offered with our Ford models, so you can read about the Ford Co-Pilot360 below. Whether you're driving through familiar streets or exploring unknown territory on the open highway, having a clear view of your surroundings is essential. 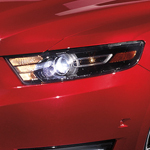 The Ford Fusion Hybrid is a popular hybrid sedan that utilizes high-quality glass throughout. The vehicle is also available at Mike White Ford of Coeur d'Alene with an optional moonroof.